A collaborative effort from brother-sister team Adam and Erin Agee (AmoEla Press) this hand-printed matchbox combines a short poem from Erin with an illustration from her brother. 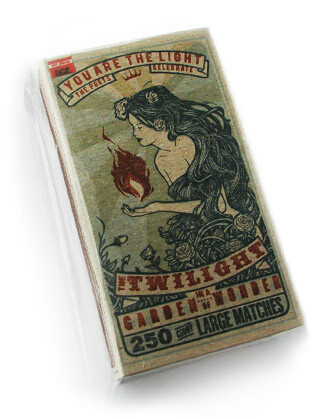 The match boxes were given to friends as Christmas gifts in 2008. The illustration was awarded publication in the May 2010 Communication Arts Illustration Annual.